Zoho Checkout is an online paymetnt app from Zoho designed to make the process of accepting online payments easier for small businesses. With Zoho Checkout you can choose between one time or recurring payments, specifying the payment intervals and setting the payment amount or allow the customer to set their own. 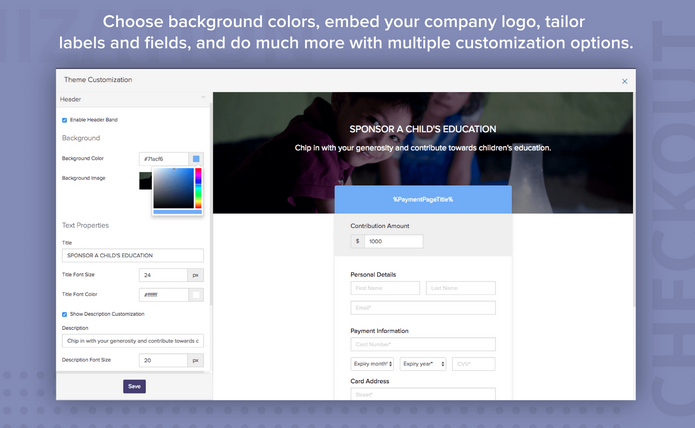 You can customise the payment form to match your business website and/or corporate theme. Payment formas can be embedded anywhere: on your website or online store, or even shared on social media. Zoho Checkout utilises state of the art bank-level SSL security; your customer's credit card information is completely secure. Zoho Checkout provides the platform to get deep insight into your payment pipeline, no more painful analysis using Excel files! Get clear insight into checkouts and revenue generated as well as failed payments. Handle payment failures with ease: Zoho Checkout will automatically try failed credit cards up to 3 times according to a pre configured schedule and will notify customers and users upon failed transactions. Integrate your payment forms to the MailCHimp extension so that customers paying online are added automatically to your email lists, which can then be used to send follow up emails to the customers. Customer service, upsell, new or related product promotions can all be done automatically using email marketing auto-responder functions. 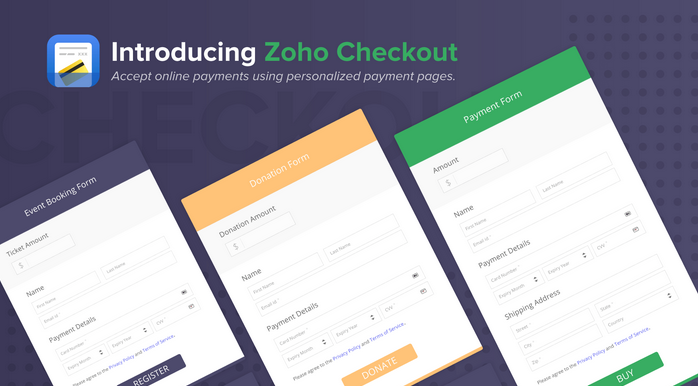 Zoho Checkout is integrated to Strip, WePay and RazorPay. Zoho Checkout is typically highly affordable and inline with Zoho's ethos of making their software highly functional, yet affordable to small businesses. There are a number of plans including a free version as well as a 14 day free trial. The free plan supports one payment page, and up to fifty transactions. The Standard and Professional plans are USD 9 and USD 29 per month and these versions support multiple payment pages with no restrictions on the monthly volume or number of transactions. You can also opt for the yearly plans to enjoy a 2-month flat discount. For more information , please contact us here.